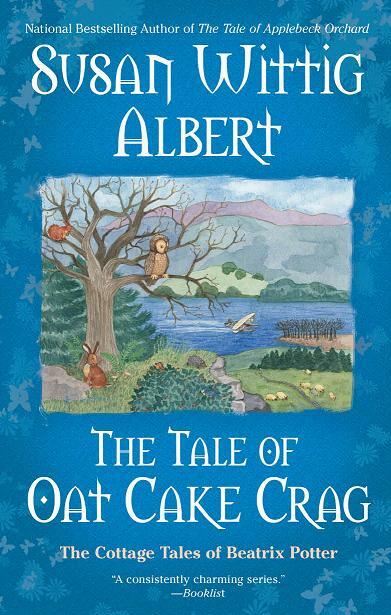 Patricia Stoltey recently discussed various points-of-view (you can read the post by clicking here), and today we welcome Susan Wittig Albert to discuss an unusual and little-used narrative POV she employs in her Cottage Tales of Beatrix Potter series. Welcome, Susan, on this tour stop for the seventh book in the series, The Tale of Oat Cake Crag, and thank you for sharing your insights with us. Hey, I thought. This reviewer really got it. Because this is very close to the image I have in my own mind of the narrator of these family-friendly mysteries. (I might add “school-marmish” to the list of descriptives.) And I do hope that readers sit up and take notice. In most modern fiction—and especially in mysteries—the narrator is so far offstage that you’re almost never aware of him/her. The chief exception is the first-person narrator. Examples: China Bayles, in my other series; Kinsey Milhone; Sharon McCone. These narrators are in charge of the story, up close and personal. They say “I” a lot, and nobody minds. First-person narration aside, however, the narrator in most modern fiction is both invisible and neutral. The story seems to tell itself, without any intervention by a story-teller. But stories haven’t always been told that way. Victorian novels, for instance, were narrated by somebody who had an opinion about something, and wanted to let the reader know about that. And even a few modern authors (John Fowles, for instance, in The French Lieutenant’s Woman, one of my all-time favorite novels) adopts the omniscient, outspoken, manipulative narrator as a device to tell the story. I wanted to tell the stories of The Cottage Tales in that Victorian style, partly because it’s reminiscent of the period in which the Tales are set (1905-1913), and partly because I wanted to involve the readers in the story, which is a good job for a narrator. And also because I wanted to add complexity to the storytelling. Now, the closing of a footpath may not seem very important to you and me, since we depend on automobiles to take us here and there. Why, we even drive the two or three blocks to the grocery store! But it was a crisis of great significance to the residents of both Near and Far Sawrey, who mostly walked where they needed to go. To understand why it was so important, you might take a moment to glance at the map at the front of this book. You will see that the path through Applebeck Orchard shortens the distance between the two hamlets by over a half-mile. This is a great improvement in any weather (as I’m sure you’ll agree), but especially when people are loaded with baskets or buckets or schoolbooks and when it is raining or snowing or very warm or very cold. For as long as anyone could remember, the Applebeck Footpath had saved people hundreds of extra steps every day. They would not be happy to find it blocked. Can you see what I’m trying to do here? The narrator has pulled us out of the story for a moment to remind us that, while closing a path may seem like a trivial thing to us, it’s a terrible thing for everybody in a Victorian village--important enough to get really angry about and maybe even try to get even with that farmer. In this context, the narrator is like another character, a guide to help the reader negotiate an unfamiliar time and place. Throughout all the books in the series, I use the narrator to present characters and events and comment on them in this chatty, informal way, as if you and she (I do imagine the narrator as a “she”) are sitting together, discussing the story over a cup of tea and a plate of scones. For example, in The Tale of Hawthorn House, when Beatrix Potter discovers a basket on her doorstep, she thinks someone has left her an eggplant. But the narrator and you, dear Reader, know more than Miss Potter knows: “Now, you have been reading this story,” the narrator says rather archly, “so you know what the basket contains (at least I hope you do! ), and who put it there and why.” Readers who have been paying attention suspect that the basket contains a baby, and that it was put there by the character who stole the baby. Stage management. 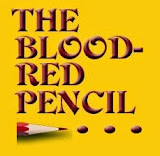 Getting the reader from one place to another in the book, creating connections between the various story lines, planting anticipations, refusing to give immediate answers--all interesting tasks that this narrator likes to take on. I’ve also used the narrator to create what I think of as a kind of Jane Austen sort of tone, especially where the characters are a little too serious and full of themselves and the scene needs to be lightened. Here’s a dramatic scene from Applebeck Orchard, for instance (p. 267, if you have your book handy). Will Heelis has just asked Beatrix Potter to marry him, and she has said no. Oh, dear. Here’s how the narrator tells it. But Will has long since left the familiar country of formulaic phrases and conventional actions and has crossed the border into that bewildering no-man’s-land where people behave in the strangest, wildest, most utterly unpredictable things. Perhaps you have found yourself in this sort of situation before, where it is absolutely impossible to know what you are going to say or do until it is actually said or done, and then you are astonished at yourself. “I beg your pardon,” she says, and is so startled by this unexpected question that she lifts her eyes to his. And with this impertinent, insolent, and terribly cheeky request, Will Heelis has opened a whole new chapter in his life, and in Miss Potter’s. Why is it a new chapter? Because shy, polite Will Heelis for once in his life has refused to take no for an answer, and Miss Potter, for once in her life, is challenged to say something besides, “My parents would not approve.” As I read this passage and consider the narrator’s contribution, I can see that she knows more about the characters than the characters know about themselves. This omniscience allows me (the author, not the narrator) to create a much more complex, multi-layered scene, where accident and intentionality, statement and commentary, are interwoven in a way that reveals a great deal more than if the scene had been connected as a straight-up drama. Oh, by the way, I am very happy to tell you that, in Book 8 (The Tale of Castle Cottage, the final book in this eight-book series), Miss Potter and Mr. Heelis do get married, just as they did in real life. This is a long post, and if you’ve managed to read it all the way to the end, I’m delighted. I hope you’re intrigued enough to read several books in the series and discover some of the other ways I’ve used this narrator. But you doubtless have other things to do and you want to get on with them. So I’ll just remind you that we’re having a drawing and that you need to click on this link and enter your name. 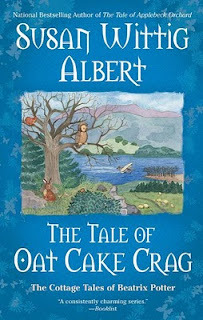 We’ll be giving away a copy of the latest book The Tale of Oat Cake Crag. You may also be eligible for the grand prize drawing, which will be held at the end of the Cottage Tales Blog Tour. 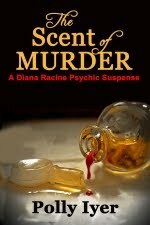 Find out more by visiting The Cottage Tales website and Mystery Partners for information about other books by Susan Wittig Albert. 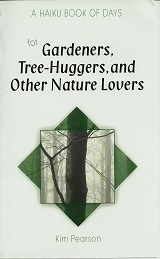 You can visit Susan at her Lifescapes blog by clicking here. I loved this post! I really liked how you gave specific examples so we could really see how it works. I had noticed that this kind of narrator has been pretty much abandoned but I think it lends kind of a coziness and a safety to the story, so I think it's a shame. In trying to work on my own voice I had noticed this in other older books that I've loved. I kind of describe it as a voice saying "Here, snuggle down. I'm going to tell you a story." Some of the modern books do kind of start of this way, like Harry Potter,and then gradually move out of it. But in most modern books the closest we get to this is first person narration that acknowledges they are telling a story. Maybe that's what it's been replaced with. You're right, Erin--first person is usually the closest we get to this. I've been doing FP in the China Bayles series (18 books now), and there is a strong similarity, particularly in the assumption of a relationship between the narrator and the reader. Not all FP narrators exploit that relationship, but I try to do that, consciously, thro ChinaB. She's "chatty" with her readers. One caution: some readers do NOT like this narrative device because they feel it is interruptive. It takes them out of the story and reminds them that this IS a story (and not real life). That's one reason I like it, personally: it's a kind of self-reflexive meta-story device. But not everybody does. Susan, I love this post. Even though I was familiar with the narration style in these books, your explanation adds more dimension, more for me to look for and be aware of. Thanks for taking the time to do this. Susan - could you describe "meta-story" for me? I had an editor at a conference tell me that from my start she thought my book would turn out to be rather more "meta" than it continued on, although she thought the transition was fine, just not what she expected. I didn't have the sense to ask her what she meant by that. I adore the narrative style samples you presented. They're perfect for your type of book. You've presented great reasons for choosing that kind of narrative style, and it works wonderfully for you. Glad you're interested in this. I find it fascinating and will be sorry to see the series end, if only because I enjoy this narrative style so thoroughly! Morgan, re: "perfect for your type of book." I think you've put your finger on it. This strategy works best in a period novel (Georgian-Victorian-Edwardian), where it seems to fit. Susan/i: it's amazing to me how "invisible" this strategy is to most readers. If they get it, they either love it or they hate it, but most actually don't even get it! Susan - Thanks for the explanation. It makes so much more sense than any other information I found. I'm thinking of adopting this narrative style for a children's book. I know there's a modern convention about not being too didactic in kidlit, but I think this sort of narration is snuggly and comforting, as someone mentioned. I think it's perfect for a children's book, or anything meant to be cozy. It's perfect for a kids' book, Dani. Here's a very old-fashioned example, but one I dearly love: Water Babies, by Charles Kingsley. You can find the free etext here: http://www.gutenberg.org/etext/1018 It's also in a Google book: http://dld.bz/vKMB In the google edition, go to p. 67. The paragraphs that begin "And now comes the most wonderful part of this wonderful story..." Read for a few paragraphs and see how Kingsley is telling the tale. Personally, I love this! I agree with you, Dani. And even though the technique certainly doesn't fit all, it does have a place in storytelling, especially for youngsters. Still, I can see its value in period pieces. It gives an interesting twist to the author's voice. Susan, I've kept up with your China Bayles series but haven't dipped into the Beatrix Potter books yet. Now I must check them out for the POV technique. Experimenting with POV is a fun exercise for a writer. A wonderful explanation of a seldom-seen-today narrative style. One other contemporary author who has used it successfully (also in a book with a 19th century setting) is "Lemony Snicket" in his Series of Unfortunate Events. Not a style to be used lightly -- but when it works, as in Susan's books, it works wonderfully! In China's series, perhaps you've noticed that I've been experimenting with the first person POV there. I've begun inserting other first/third POV segments. I thought readers might not like this, but most appear not to notice (this is good, maybe?). Also, I developed the narrative strategy in the Cottage Tales over several books. Didn't use it much in the first book, because I felt I needed to tell the story, not to call attention to the story telling. It became more dominant as the books went along, and was fully fledged by Book 6. I'm glad you mentioned Lemony Snicket, Lea. There, the narrator is more arch, I think. But either way, whether the narrator sympathizes with or makes fun of the story, s/he stands between the reader and the dramatic action, interpreting, commenting, clarifying, and sometimes mocking. In the Cottage Tales, the narrator stands fairly to the reader. 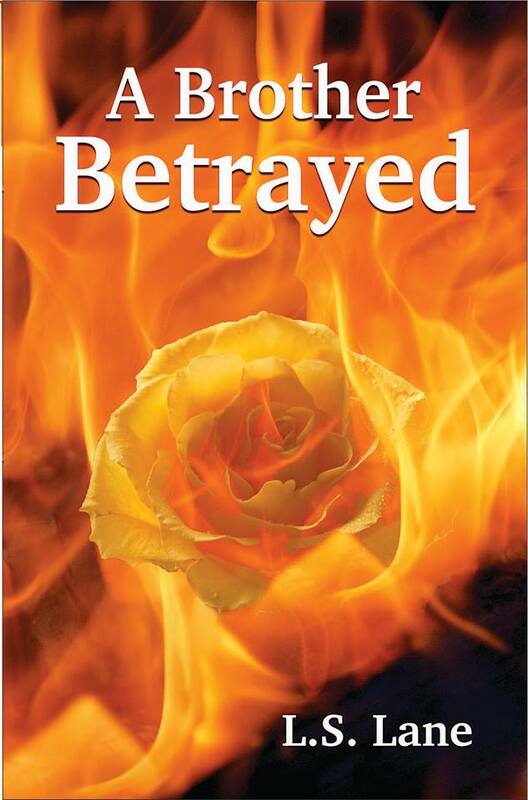 Your narrator feels perfect for this series. She totally fits. It would be a bit hard to envision the books without her. It could be written without her, of course, but it wouldn't be the same. Thanks, Helen. For me, she is one of the characters, although she doesn't have a name and we never see her face. I have always enjoyed reading books that employed this type of narration. It was like we - the readers - were connected more completely to the story and the writer. I remember starting out writing fiction this way and had folks in my critique group who strongly advised me to abandon it. I can see now that it works well with certain kinds of books, but definitely not all. There is something so warm about this kind of narration in a children's book. You give great examples too. This kind of narrator does help to engage the reader, Maryann--IF the reader is sympathetic to the story. Don't mean to be sexist here, but I have found that male readers are more likely to be annoyed by this mode of narration. You really do have to find the right subject *and* the right audience. I have enjoyed the Cottage Tales and #6 is my favorite. To me the narrator adds intimacy and helps create an openness to the story at hand. I just love getting lost in a good story. This is similar to when I was a small child and listened to children's stories on the radio. I'm exploring how to handle pov in a wip and appreciate this great post. Susan, thank you for explaining your use of the narrator in the Cottage Tales. When handled well (as you do), it adds dimension and charm to the story. I like your comment about the narrator sitting down with the reader over tea and scones--kind of like a wise woman of the village who knows everyone's secrets and is giving you added information to help you understand more fully what's happening, but not in a gossipy way. When it cropped up in one of the latest China Bayles books (I forget offhand which), it startled me because it was an element that hadn't been introduced into this series previously. With your dogs, cows, and other animals (domestic and wild) on your own property, I'd love to see you write a series incorporating talking animals to tell tales about Texas. I'm thinking of trying my hand at a children's book (now that I'm going to be a grandma), and may employ talking animals (the main characters would be a family of house sparrows), and may try the narrator device and see how it works. Hate to see your blog tour come to an end. Great articles. I think I'll leave the Texas tale-telling to others, Donna. :) I'll have plenty on my plate with the Dahlias and China Bayles. Re: China's asides to readers. Actually, I've been doing that for quite a few books now. For instance, there's one "set piece" that occurs at the beginning, where China introduces herself and her friends with a direct address to readers. The passage usually goes something like "In case you haven't visited Pecan Springs before..." or "The next time you drop in at the store...."
China probably has gotten a little more chatty over the years, if only because she feels (as I do) that she knows y'all as friends! 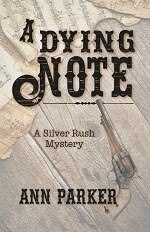 But it's also likely that the narrative style of the Cottage Tales occasionally "bleeds into" the first-person narration in the Pecan Springs mysteries. I try to be deliberate when I do that, but I may slip up now and then. The next two stops are really interesting, too! Trust me on this. ;) I love all this backstory on Beatrix Potter. The woman gets more interesting the more I learn about her. Great post! Thank you. I love this type of narration. It reminds me of Woody Allen, and how he often looks at the camera and talks to his audience. As a writer, I like to interact directly with my audience as well. Woody Allen talking to the camera--that's a good example, Kara! It was rather rude of me to drag you away from The Brockery at the end of Chapter Fifteen, just as Bosworth was about to tell Hyacinth that she had passed the test--a test that not even Owl, in his superior wisdom, could have devised--and that he felt she was qualified to hold the Badge of Authority. So we shall return straightaway to The Brockery and rejoin the group in the kitchen--Bosworth, Hyacinth, Parsley, and Primrose (Hyacinth’s mother), Parsley’s nephews having taken themselves off to rejoin their circus, carrying with them Bosworth’s hearty thanks and a basket of savory pies packed by Parsley. You will notice that we have come back into the scene just where we went out, and that nothing at all has happened while we’ve been absent. Writers and readers of stories, you see, enjoy special privileges. In books, we are not limited to the arrangement of events as we are in the world of railway timetables and appointment calendars, which are organized chronologically and require one to be in the appointed place at the appointed time or all is lost. This, when you get right down to it, is a very tedious sort of ordering, and I for one am glad we’re not limited by it. This is one of those "Woody Allen" moments, I think. Very "meta." Makes me smile. I'd never really thought how things had changed, but your post brings lots of old favorites back to mind. This was a great post, Susan. Really interesting insight into this technique. And the comments back and forth just brought out more. Thanks to all. This post gives one a lot to think about especially if the reader does not normally read work set in this period. Thank you for the detailed study.